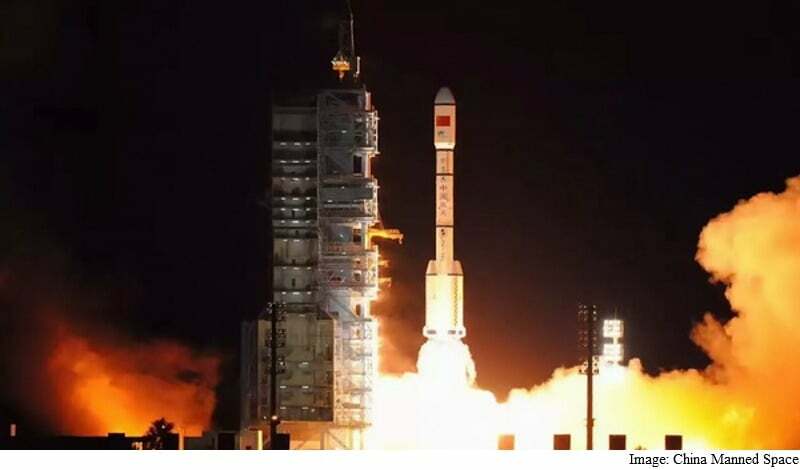 China launched its second space lab Thursday, official media said, as the country works towards setting up its own manned space station by 2022. The Tiangong-2 blasted off just after 10:00 pm (1400 GMT) “in a cloud of smoke” from the Gobi desert, the official news agency Xinhua reported. State television CCTV broadcast images of the Long March-2F rocket’s engines igniting in tandem before slowly lifting into the air and exiting the Jiuquan Satellite Launch Centre, leaving a long trail of flames in its wake. The 8.6 tonne Tinagong-2 – or Heavenly Palace-2 – will initially orbit at a height of around 380 kilometres (240 miles) above earth, Xinhua cited Wu Ping, deputy director of China’s manned space engineering office, as saying. It will then move slightly higher to allow the Shenzhou-11 mission to transport two astronauts to the facility, where they will stay for 30 days. Once inside Tiangong-2, the two astronauts will carry out research projects related to in-orbit equipment repairs, aerospace medicine, space physics and biology, atomic space clocks and solar storm research. Zhou Jianping, chief engineer of China’s manned space program, said Tiangong-2 also aimed to verify technology involved in the construction of the space station. “It has the basic technological capacity of a space station,” Zhou said. “Once the space lab mission comes to an end, China will start building our own space station,” he said, adding this could start in as early as 2017. In April 2017, China’s first space cargo ship Tianzhou-1 will be sent towards the space lab, providing fuel and other supplies. China is pouring billions into its space programme and working to catch up with the US and Europe. It hopes to have a crewed outpost by 2022. China’s first space lab, Tiangong-1, was launched in September 2011 and ended transmissions in March this year. It is expected to fall back to Earth in the second half of 2017. Beijing sees its military-run space programme as symbolising the country’s progress and a marker of its rising global stature. But for the most part China has so far replicated activities that the US and Soviet Union pioneered decades ago. As well as building a Chinese space station, it intends to eventually put one of its citizens on the surface of the moon. It announced in April it aims to send a spacecraft “around 2020” to orbit Mars, land and deploy a rover to explore the surface.